Adrian Clayborn is a professional American football player who plies his trade with the New England Patriots. His NFL career dates back to 2011 when he got drafted by the Tampa Bay Buccaneers. He spent 4 seasons with the Buccaneers followed by a 3-year stint with the Atlanta Falcons and he eventually joined the Patriots in 2018. Clayborn plays in the defensive end position. Before turning pro in 2011, he had his college career at the University of Iowa where he earned consensus All-American honors. This NFL star was born Adrian Jarrell Clayborn on the sixth day of July 1988. He was born and raised in St. Louis, Missouri. He attended Webster Groves High School where, as a two-sport athlete, he lettered in football and basketball. Among other highlights of his high school football career, Clayborn received Missouri All-State honors in his junior and senior years. Also in his senior year, he captained the school’s football team, earned All-conference honor, and was named the 2005 Missouri Player of the Year. Clayborn enrolled at the University of Iowa in 2006 and after redshirting his first season, he began his college career with the Iowa Hawkeyes football team in 2007. In his 4-year college career, Adrian Clayborn featured in 50 games with 37 starts and he recorded 192 tackles, 19 sacks, 7 forced fumbles, and one fumble recovery. He was a 2-time captain of the Hawkeyes and he earned All-Big Ten honors in the last 2 seasons. He also put up a good show at the 2010 Orange Bowl which earned him the MVP honor. In addition to that, Clayborn was one of the four finalists for the Rotary Lombardi Award. Clayborn was drafted by the Tampa Bay Buccaneers in the 1st round of the 2011 NFL Draft with the 20th overall pick. His NFL career got off to a good start as he featured in all 16 games of the season. He finished the season with 42 combined tackles; 29 solo and 13 assisted tackles. He also recorded 7.5 sacks and caused 3 fumbles. Sadly, Clayborn could not replicate the achievements of his debut season as he incurred a season-ending knee injury just 3 games into the 2012 season. The NFL star got his breakout season in 2013 when he returned to the Buccanneers’ line up. He started in all 16 appearances for the season and he finished with a career-high 64 combined tackles, 5.5 sacks, and 2 forced fumbles. Clayborn’s career experienced another major hiccup at the start of the 2014 season when he incurred a season-ending injury after playing just one game. 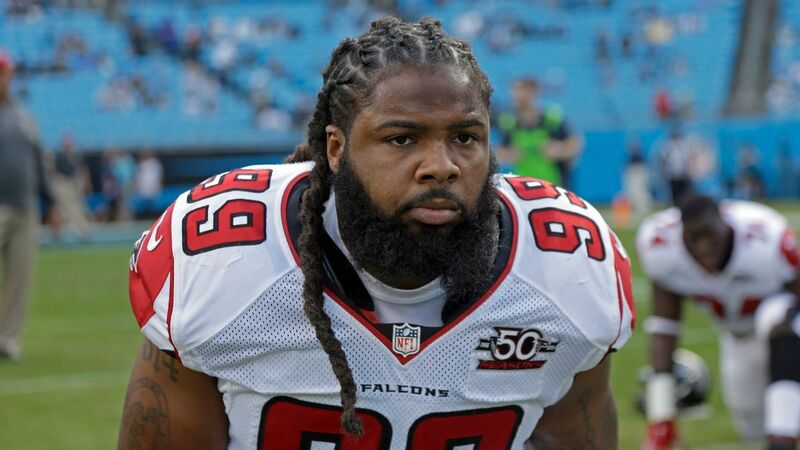 In March 2015, Adrian Clayborn joined the Atlanta Falcons on a 2-year deal. The talented player featured in all 16 games of the season making only 4 starts. He finished the season with 15 combined tackles, 3 sacks, and one fumble recovery. Clayborn’s performance improved in the 2016 season during which he featured in 13 games including 7 starts. He recorded 22 tackles, 4.5 sacks, and one fumble recovery. In his last season with the Atlanta Falcons (2017), the talented player finished with 21 tackles (17 solo and 4 assists), a career-high 9.5 sacks, 2 forced fumbles, and 2 fumble recoveries. He started only 2 games in a total of 16 appearances. The veteran NFL star joined the New England Patriots in 2018 on a 2-year contract. In his first season with the Patriots, he made only one start in 14 appearances and he posted 11 total tackles (9 solo and 2 assists), 2.5 sacks, and one forced fumble. Adrian Clayborn’s 2-year contract with the New England Patriots is valued at an astonishing $10 million with an average annual salary of $5,000,000 for the player. Clayborn’s base salary for 2019 is pegged at $3,500,000. This, coupled with a roster bonus of $437,500 brings the 2019 net salary of the NFL star to $3,937,500. 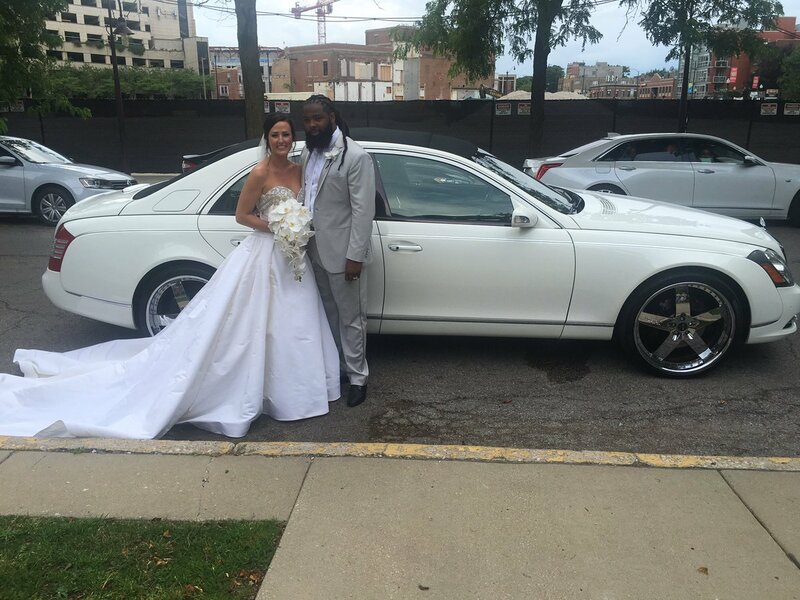 Adrian Clayborn is married to his college sweetheart, Shannon – a pro dancer and entrepreneur. After a long while of dating, the couple got engaged on February 10, 2016. They ultimately tied the knot on June 17, 2017, in an intimate ceremony held in Chicago. Shannon Clayborn is the Chief Executive and Artistic Director of A Step Above (ASA) Dance Academy. Adrian Clayborn has an impressive height of 6 feet 3 inches (1.91 cm). With this towering stature and a body weight of 127 kg (280 lb), the veteran NFL player can be rightly described as a gentle giant. Clayborn’s size is well suited for the defensive end position which he plays.